The right storage solution, at the right time, at the right price. Life changes quickly and so does the need for storage space. 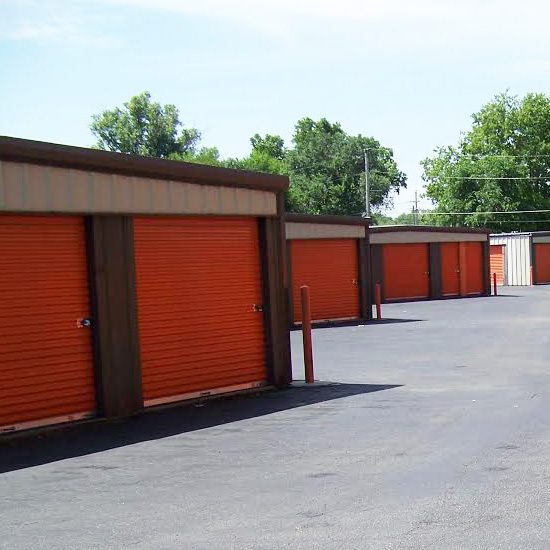 Whether you are a residential or commercial customer we have many storage options to meet your needs. Don’t know what type of storage unit or what size you need? Just ask one of our team members, we help customers like you every day find the right storage solution in Junction City, KS. Lockers are galvanized steel and are located inside of a 10’x20′ storage unit. Great for soldiers being deployed, students and anyone needing to safely store a small amount of personal belongings. Small furniture, boxes, seasonal items, business records, sales representatives inventory material. Ideal for one room of furniture, lots of boxes, bicycles, sales reps’ supplies, business records, seasonal items. Ideal for college students during summer break. Two rooms of furniture and miscellaneous items fit nicely. Office furniture and files. Three Rooms of furniture fit comfortably. Small sports car, commercial storage, inventory and boxes. Size equivalent to one car garage. Five rooms of furniture fit comfortably, average size car, commercial storage, household furniture, appliances. Space Is Limited! Reserve Your Unit Today!